Community Based Water Management; wishful thinking or a way out? An organisational and institutional analysis of Common Pool Resource (CPR) management with a livelihood approach. Described as a study of ‘an important topic dealt with in a creative manner’ in the Broker Thesis project dedicated to good water governance (Read more). The role assigned to communities in managing water resources has changed. While previously they were passive receivers, in recently implemented development programs they have become active participants. This thesis describes the viability of water resource management by communities in two rural villages in the Lake Chilwa wetland area in Malawi. Lake Chilwa wetland is a wetland of international importance and is a Ramsar site under the Ramsar convention. Theories on Common Pool Resource management shape the theoretical framework. 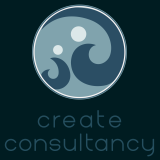 Criteria are distinguished to determine viability of the management of various water resources. These relate to the resource system, local caretakers and institutions. Semi-structured interviews and several Participatory Rural Appraisal (PRA) methods were used to collect data. Viability of the management of five water resources is analysed. 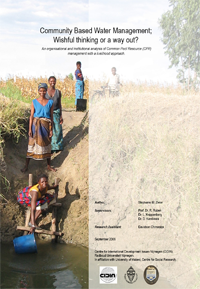 The research reveals the variety in viability of community based water resource management. A source of information for a global evaluation conducted from 2008 until 2009 on Plan’s education programs. Recommendation on measuring progress on gender disaggregated indicators was given direct follow up. I was praised for the perfect timing of this research. As soon as the document was printed it was taken by a colleague to Plan International’s head office; A global evaluation of Plan programs was about to start. The recommendation I made in this publication on gender mainstreaming was directly implemented. Not only for Plan’s education programs, but for all Plan Programs. It became a key element of Plans’ global 2009 ‘Because I’m a girl’ campaign. A background publication at the International workshop on Child Centred Community Development and education in the Netherlands in 2008 organised by Plan Netherlands, Context international Cooperation and Save the Children. 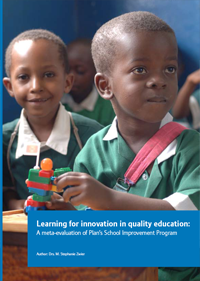 The objective of this research is to improve Plan’s quality education intervention in Less Developed Countries, by learning from the implementation of Plan’s School Improvement Program (SIP). Plan implemented SIP in 2003 and thoroughly evaluated it in 2006 and 2007. SIP supports initiatives from governments and civil society groups to achieve Education for All goals by 2015. SIP strives for quality and access to education for boys and girls in Africa, Asia and Latin-America. This paper presents information collected from a desk study of fifteen evaluation reports on SIP. Methodologies that were used include: literature review, participatory observations in a forum on quality education in the Netherlands, participatory observations in Plan’s global thematic group on Universal Primary Education, eight semi-structured interviews and a field visit made during an evaluation of the SIP program in South Sulawesi, Indonesia. Within this paper, quality education is defined as: ‘Knowledge boys and girls gain through methodologies, learning materials, textbooks and a relevant curriculum that stimulates inquiry and dialogue between pupils and teachers in school, all within an institutional and organisational framework, that increases their problem-posing abilities in their daily lives’. Lessons are learned from the SIP program and described in six SIP components; teacher motivation, teaching methodologies, participation of children in school governance, relevance of the curriculum, involvement of the education department and gender. Indicators are used to monitor and evaluate progress on education programs. Indicators that make results visible at outcome level or those processes inside the classroom are recommended. These include indicators that illustrate the perceptions of teachers and children on aspects of quality education. Embedding the Rights Based Approach in the daily lives of development practicioners. Rising food prices: An opportunity for change? A future for new media in education programs in developing countries?